Prepare for an emotional journey into the heart and soul of a war that divided a nation and forced revenge underdogs to triumph in the spirit of togetherness as we present Blood & Glory, set for its UK premiere in London’s iconic Regent Street cinema on Monday 9th April and heading to DVD and Digital HD across the UK and Ireland from Monday 23rd April 2018. 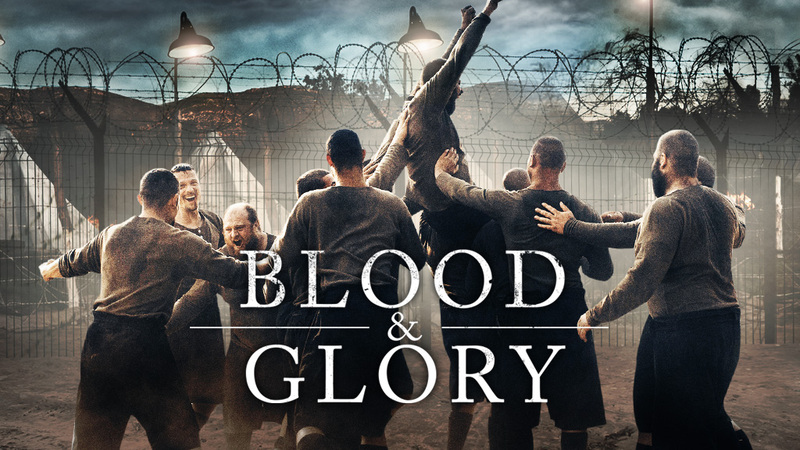 A period epic set in South Africa during the 1901 Anglo-Boer War, Blood & Glory brings together some of the UK’s finest acting talents along with the strongest ensemble male cast a South African film has ever seen in this extraordinary tale of hope, resilience, pride and glory. Written and directed by Sean Else (Platteland; ‘n Man Soos My Pa) Blood & Glory is a fictional story inspired by true events which explores the Anglo-Boer War, a notoriously sensitive and important part of history to this day, through the game of Rugby. It follows Willem Morkel – a Boer and family man whose wife and son are murdered during the conflict. Captured as a prisoner of war, Willem must survive incarceration in the notorious St. Helena concentration camp and defeat the ruthless Colonel Swannell at his own game… rugby.